This year’s popular joint LGA/ALDC Councillors Weekend will take place 28-30 June at Yarnfield Park in Staffordshire. The weekend provides a great opportunity to meet with fellow councillors from across the country, whilst enjoying a packed programme of tailored training sessions. 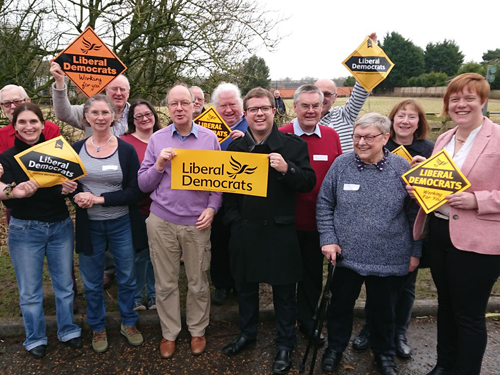 Come along to improve your skills in your important roles as both a Liberal Democrat councillor and campaigner. You can also take advantage of the Kickstart plenaries. groups that have big changes will find this a particularly useful weekend. Hours of training on advice customised to meet your needs as a Lib Dem councillor. Amazing networking opportunities with other councillors and high profile campaigners. ALDC members single-room: early-bird rate of £165, mid-rate of £200 and a final-rate of £245. ALDC members double or twin room per person: early-bird rate of £135, mid-rate of £170 and a final-rate of £215. Non-ALDC members: £285 for a single room; £255 for a double or twin room per person. Join us to benefit from discounted attendance.